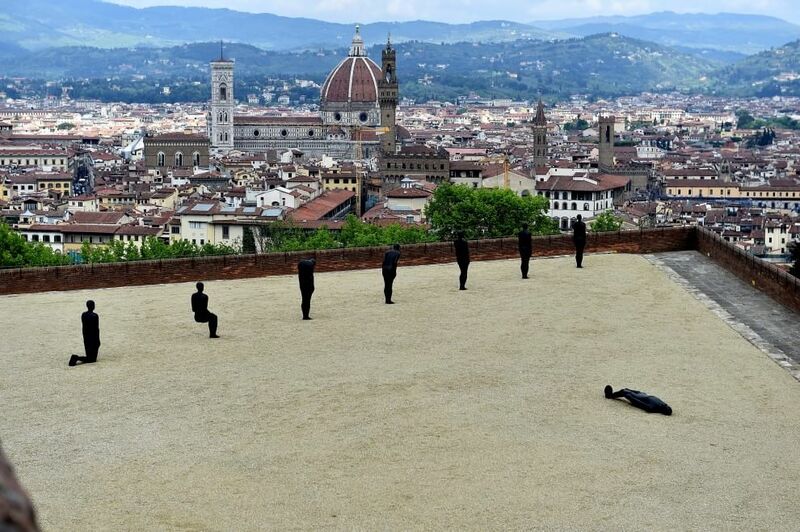 Antony Gormley’s ‘Human’ is on show at the Forte di Belvedere in Florence until tomorrow September 27, 2015. Visitors have one more sunny weekend to wander freely about the premises of the 1590’s Florentine fortress and discover the British artist’s exhibit, that opened in Tuscany last April. 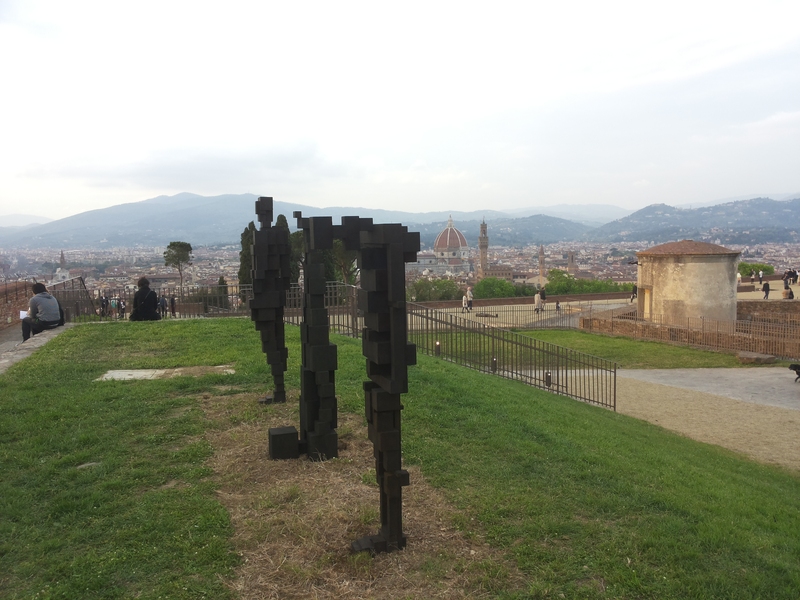 The terraces of the Forte towering over a magnificent view on Florence’s Renaissance architecture, host dozen of silent iron bodies, responding to the superb 16th century architecture. The sequences of metallic human figures colonizing the space – such as the components of Critical Mass, 1995 – as well as the geometric shapes resulting from his “pixilating” technique inspire reflection on one of the main themes of Italian Renaissance: the human condition and its meaning.